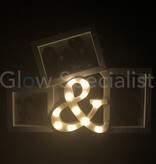 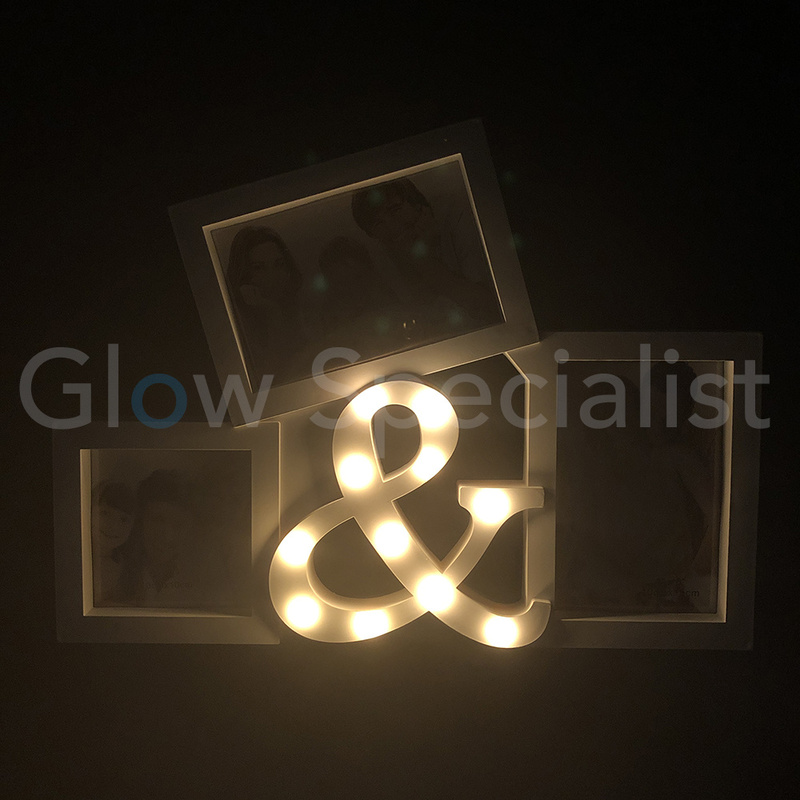 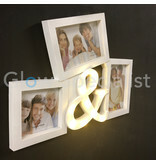 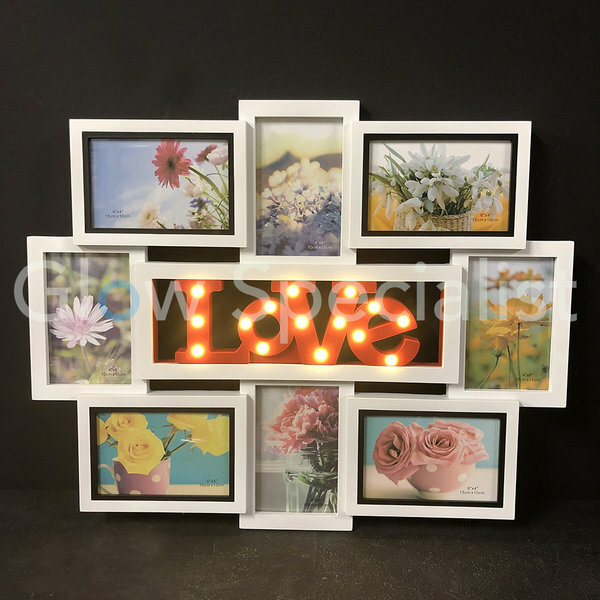 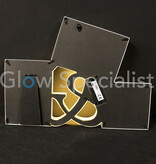 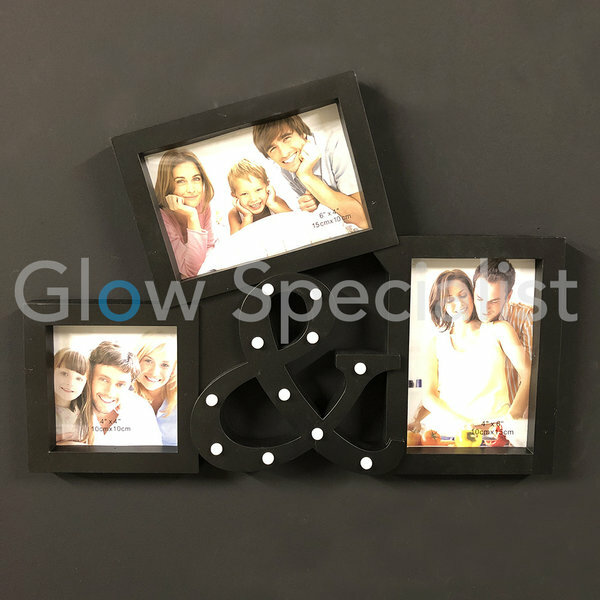 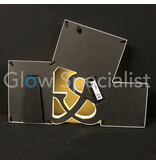 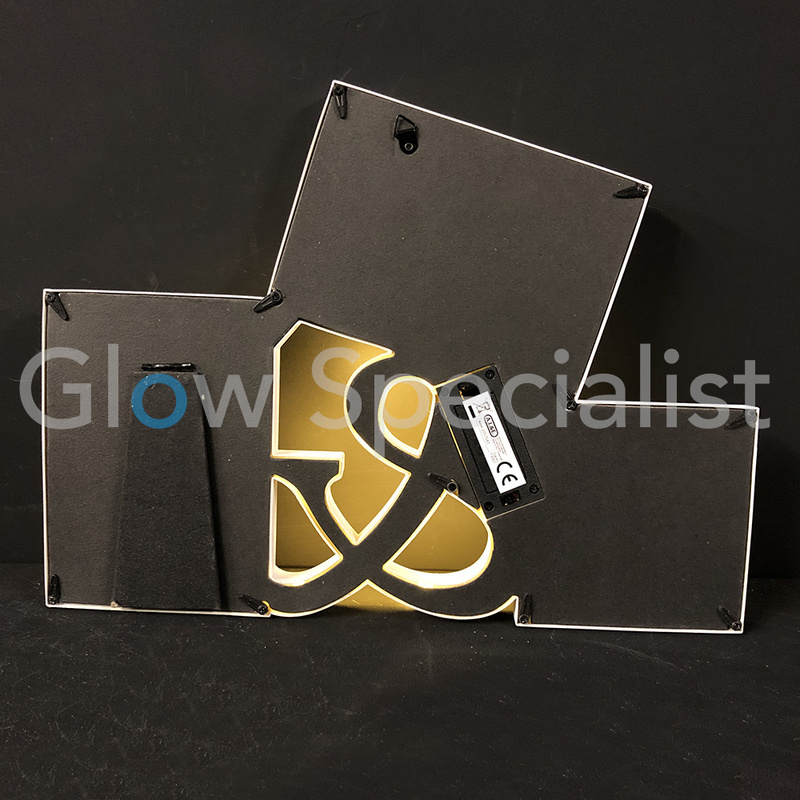 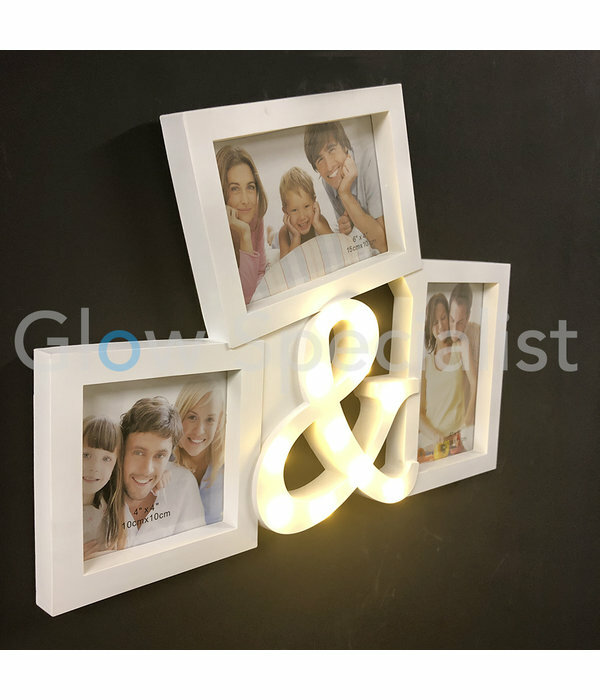 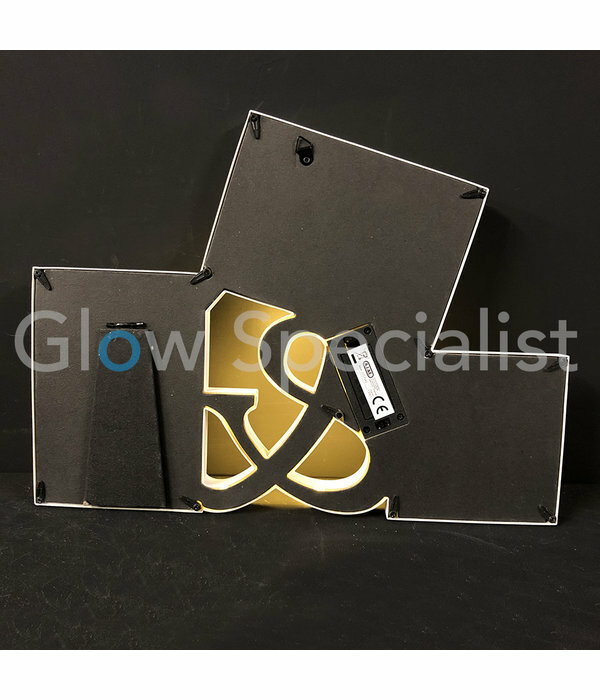 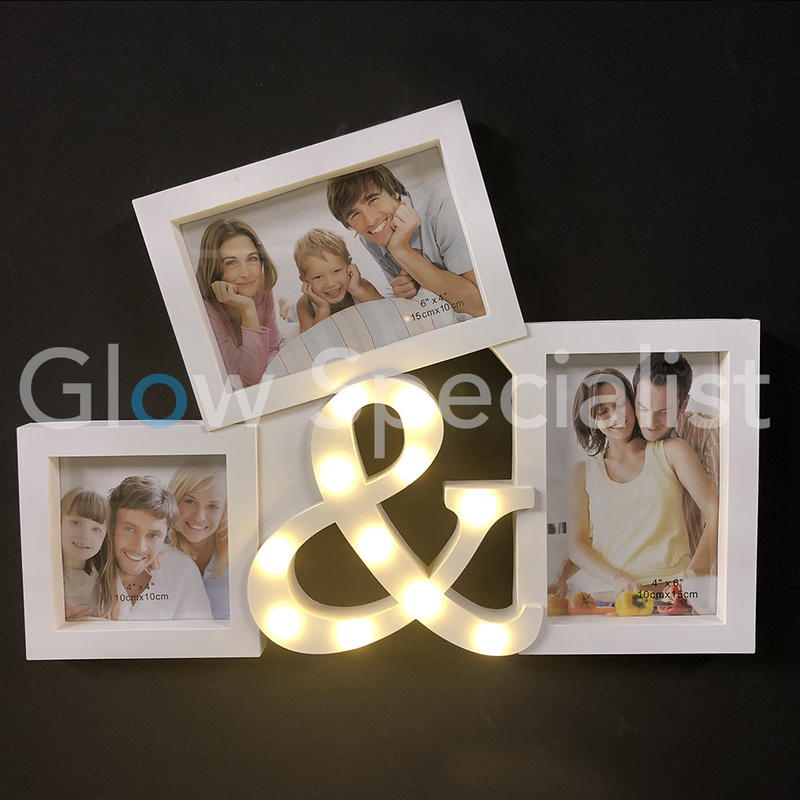 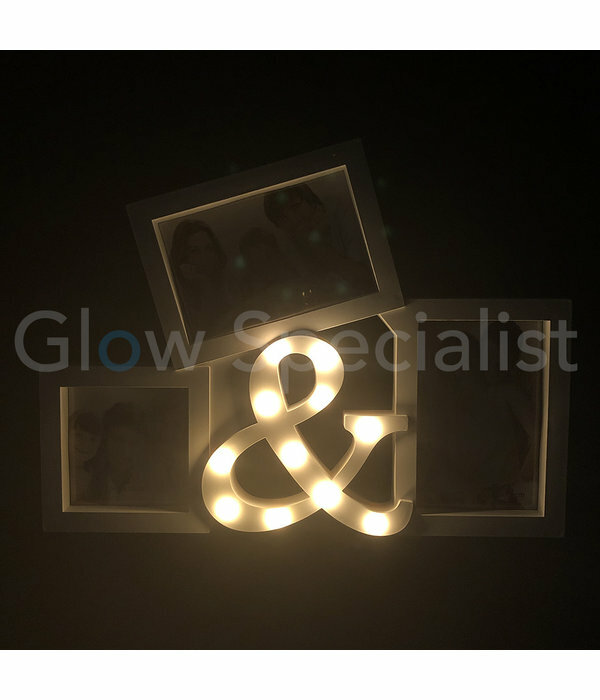 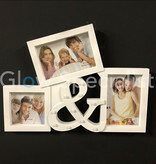 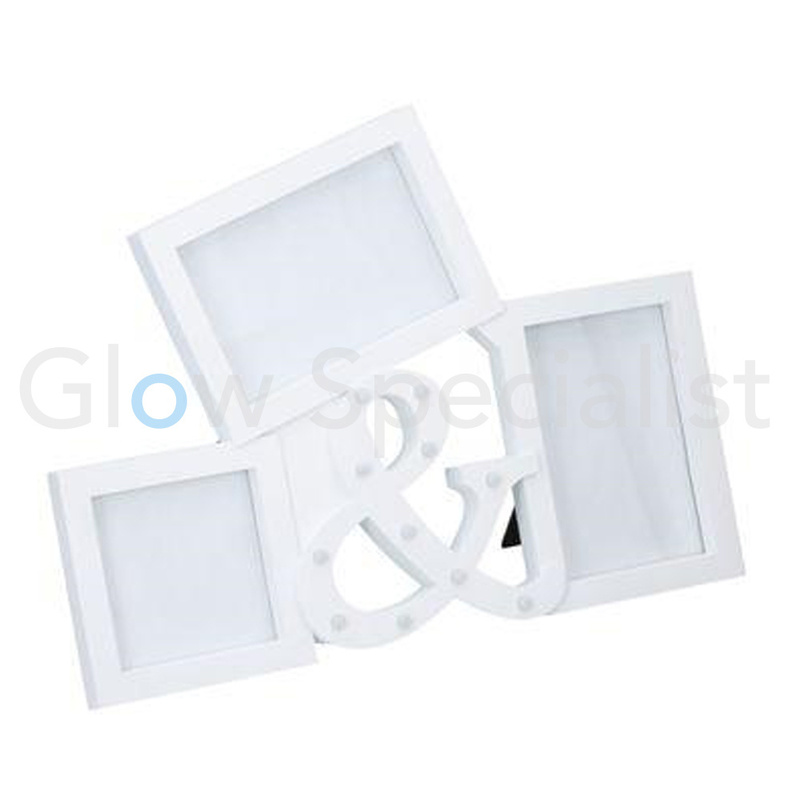 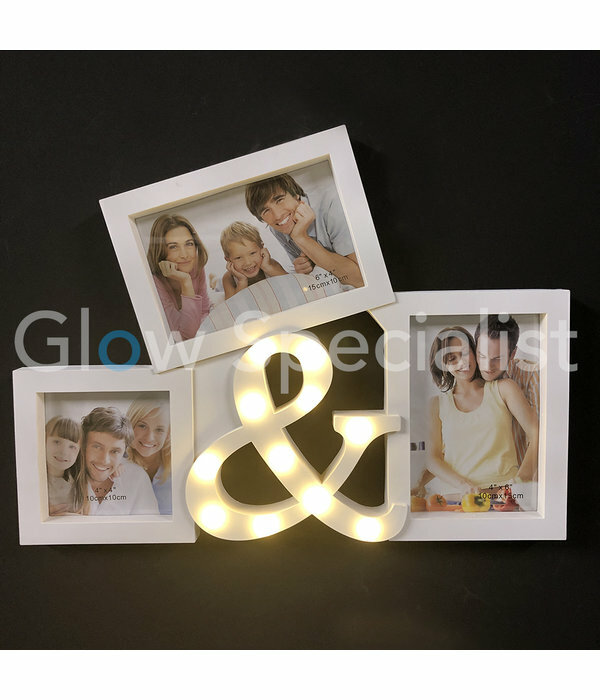 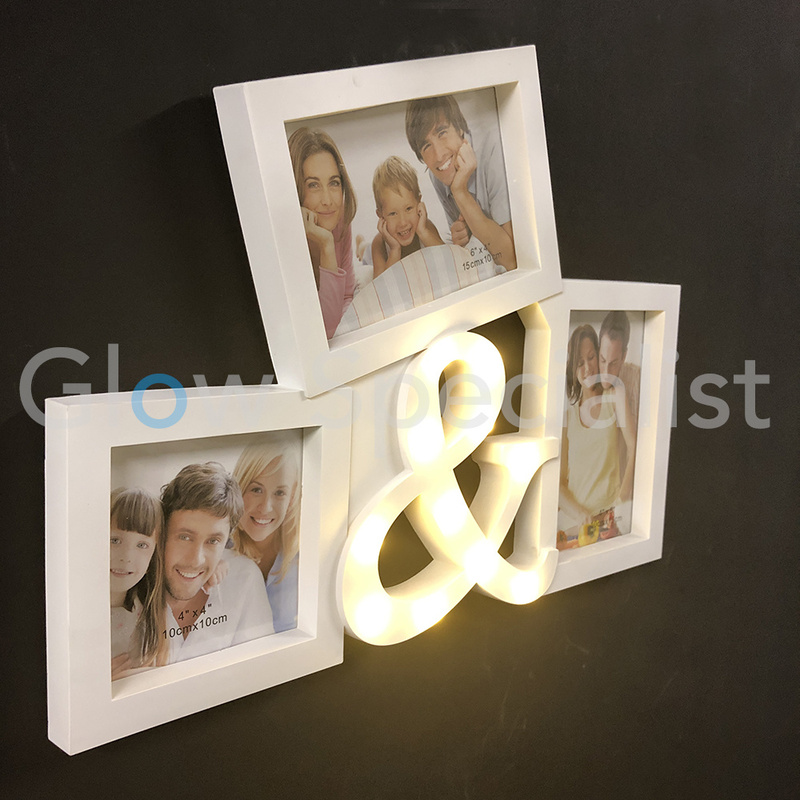 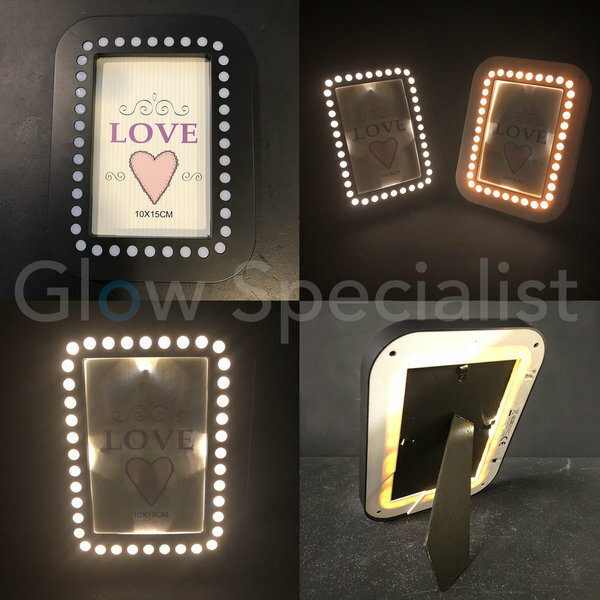 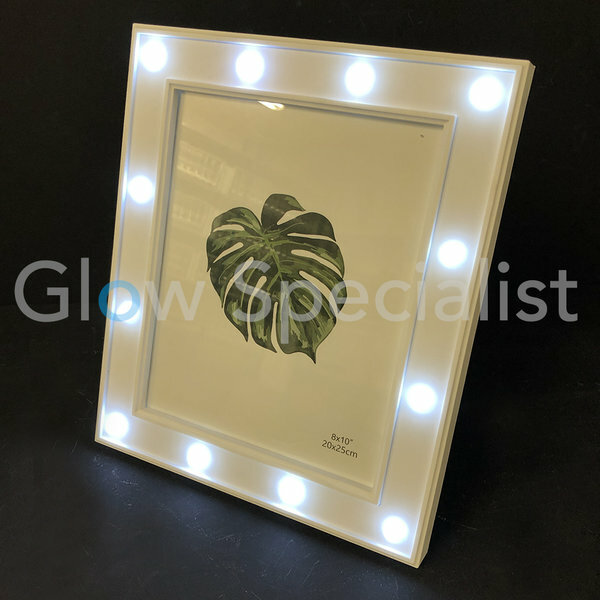 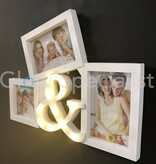 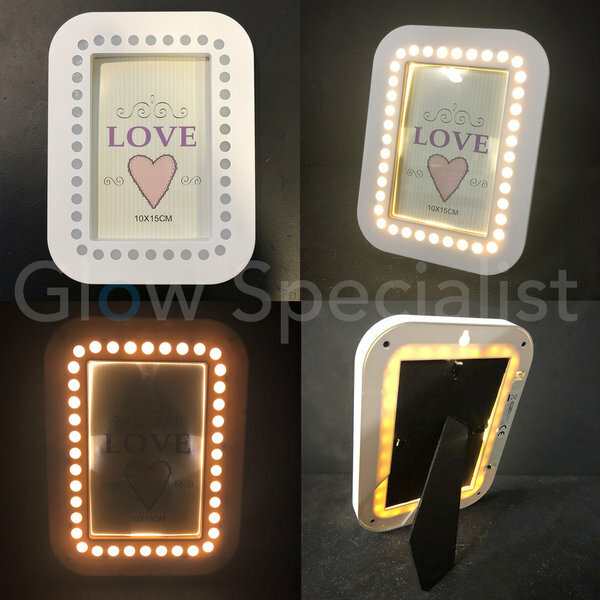 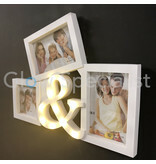 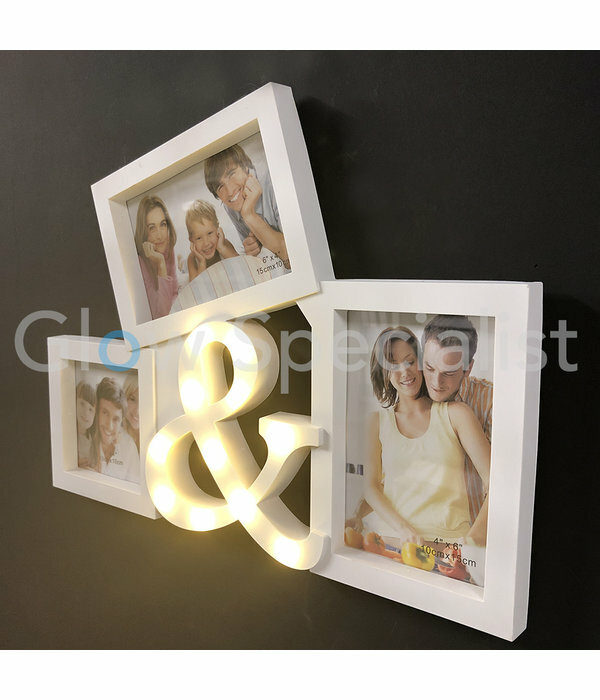 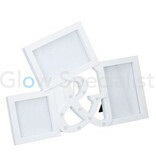 Nice luminous white photo frame with space for 3 photos with the & sign in the middle with 11 LED lights. 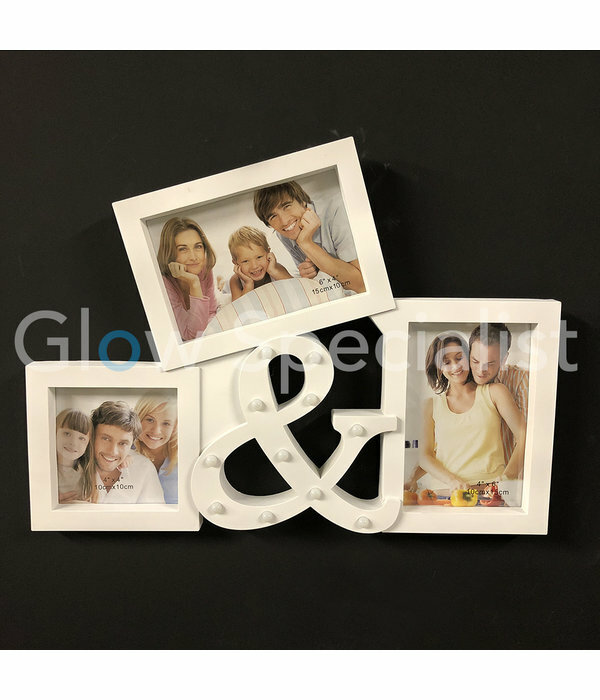 You can place the frame standing and hang the frame, thanks to the brackets and standard on the back. 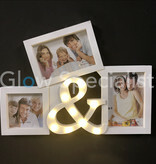 The LED lighting works on batteries, so you are not dependent on a power outlet.